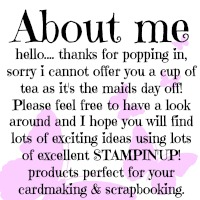 Thanking your visiting my blog from the Stamping Ground! I have decided that when it is time to take the photo for WOYWW my table is always a mess. It could have been clean and tidy for the past few days but when I get around to taking the picture some little crafty imp messes it up! For example this afternoon I sat chatting to a friend and tidied the table as we chatted, then at photo time before bed you can see it is not very tidy. 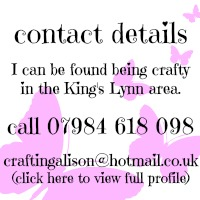 Ok I did make three cards for customers orders but surely I never created all that mess!! just on the right side (going out of shot) – is my goodie tin. 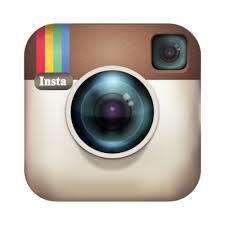 Yes I am guilty of stashing chocolate from hubby and keeping it for crafting emergencies. Although my granddaughter noticed it that Nana has two creme eggs in there along with my drumsticks, parma violets and swizzels. I gave her a lolly and off she trotted, phew creme eggs safe until her next visit! 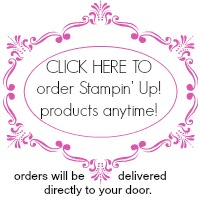 Well I promise that next week will be more exciting as my Stampin’ up! 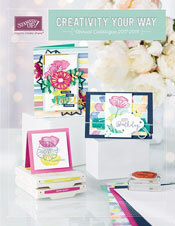 new catalogue goodies will be here today for me to play with… that’s the advantage of being a Stampin’ Up! demonstrator!